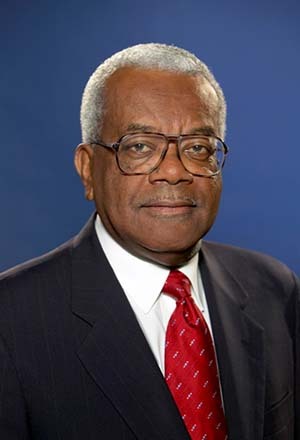 Sir Trevor McDonald OBE was born and educated in Trinidad in the West Indies where his career in the media began, first as a radio reporter, news presenter and sports journalist. On his first major assignment there, he was sent to London (1962) to report on talks at Malborough House which culminated in setting a date for Trinidad's Independence. Sir Trevor came to London in August 1969 to work as a Producer in the BBC Overseas Regional Service at Bush House in the Aldwych. He went on to produce Current Affairs programmes for the BBC WORLD Service and in that capacity worked on the initiation of a number of shows like THE WORLD TODAY which are still part of the BBC World Service schedule. In 1973 he joined ITN as a General Reporter. His first major assignment was in Northern Ireland where he covered the Province's 'troubles' for more than a decade. He also reported from Dublin, Rome, Brussels, Strasbourg and Luxembourg on negotiations about the terms of Britain's membership and earliest days of the then Common Market - now the EU. Covering sport and politics Sir Trevor travelled to Argentina, Australia and the West Indies before becoming Diplomatic Correspondent and Presenter of Channel Four News in 1982. In that capacity he reported from every Continent, covering events and conducting interviews in Egypt, Israel, Syria, Lebanon, Libya, India, Pakistan, Japan, New Zealand, Mexico, South Africa, the Soviet Union and Hong Kong. During this time he also worked extensively in the United States reporting on the unfolding events at the United Nations during the Falklands War, from New York and from Washington, as well as covering a number of Presidential and Congressional Campaigns. Sir Trevor reported on Soviet Communist Party Conferences from the time of President Brezhnev and returned to Moscow and to Washington to report on East West Summit meetings, prominently among them... those between Reagan and Gorbachev. His coverage of the ' people power ' Philippine Elections in 1985 won a BAFTA Award for Channel Four News. When not working abroad, Sir Trevor began his career as an ITN Presenter. He anchored every ITN News programme - from what used to be the News at One, the News at 5.40 and 6.30 to the flagship and award winning News At Ten. And not just from London, but from news locations around the world. He became Diplomatic Editor in 1982 and in February 1990, after several visits to Southern Africa, went back to Johannesburg to report on Nelson Mandela's release and to do the first British Television interview with the ANC leader for ITN. In November of that same year, just before the start of the first Gulf War, he did the first and still the only British television interview with former Iraqi President Saddam Hussein. In the ensuing years at ITN, Sir Trevor conducted the most important television interviews of his time: with Libyan President Colonel Gaddafi, with the former PLO leader Yasser Arafat, with President Bill Clinton, and Secretary of State Colin Powell along with a number of American Presidential candidates and Congressional leaders. From 1999 to December 2007 Sir Trevor presented ITV's bi weekly flagship Current Affairs programme, Tonight, during which time he interviewed President Bush on two occasions and political figures like Tony Blair, Secretary of State Rice, Hilary Clinton and other senior politicians. In January 2008 Sir Trevor returned to ITV News, for one year, to co-present the re-launched News at Ten. More recently he has presented a number of documentaries for ITV1; including Secret Caribbean, Secret Mediterranean, The Mighty Mississippi, Inside Death Row, Women Behind Bars, The Mafia and Mafia Women, Death Row: The New Arrivals, James Bulger: A Mother’s Story and Martyn Luther King. Sir Trevor McDonald: Return to South Africa will be broadcast in July. In May this year Sir Trevor will be co-presenting Invitation to A Royal Wedding a documentary on ITV1 about Royal weddings over the years. Sir Trevor has done charitable work for the Prince's Trust, the Nelson Mandela Foundation, the Playing Fields Association, Sight Savers, the Royal National Institute for the Blind, the Royal Commonwealth Society for the Deaf (which became know later as Sound Seekers), Macmillan Cancer Research and the Leukaemia Trust. He serves as Patron, Chairman, President or Vice President in a number of other charitable organisations including National Children's Homes, the Shooting Star Children's Hospice, the Friends of Barnes Hospital and De Paul Trust. He has also helped to promote the work of St John Ambulance, and organisations dealing with awareness of the problems surrounding Sickle Cell, Autism and homelessness among young people. He travelled to many parts of the country to speak in his capacity as Chairman of the Better English Campaign under the last Conservative Government, was co chair of a Nuffield Foundation Inquiry into the Teaching of Foreign Languages in British Schools for which he was honoured by the French and German Governments, has been involved in a number of campaigns to encourage young children to read more widely, and speaks regularly to schools and colleges. He has also held the position of Chancellor of London South Bank University. Sir Trevor was awarded the OBE in 1992 and was awarded a Knighthood in 1999.